The World’s Largest Pool Tournament is getting event BIGGER! 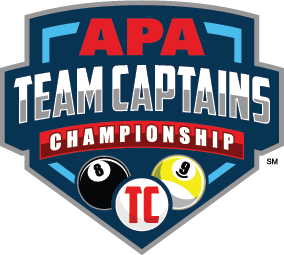 We’re excited to announce the addition of the APA Team Captains Championship in 2018! This unique Showdown Series event will be held Aug. 11-13, 2018 during the World Pool Championships at the Westgate Las Vegas Resort & Casino. It will be a team event with a maximum of 5 players allowed on a roster. Teams may choose any 3 of the 5 team members to participate in each match. The team Skill Level Limit is 15. The event will be a combination of 8-Ball and 9-Ball formats, alternating between 8-Ball and 9-Ball racks, starting with 8-Ball. A Games Must Win Chart will be used. Players must have completed two sessions as a Team Captain of a standard 8-Ball, 9-Ball or Ladies team in the 2017/2018 League year in the area the team represents. For more information on this exciting new event, contact your Local League Operator!